This week Jim and Josh talk about what influences us as EMS providers when it comes to patient care and transport. They also bring up the subject of what influences management when it comes to how we operate in the field and what the individual provider can do in order to change those decisions. This was a great episode join by David Brenner as well who had some great input on this topic. Take a listen and leave your thoughts below on what influences you day to day in EMS. 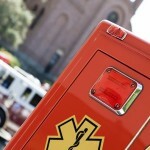 Are You Passionate About EMS? This week Jim and Josh discussed peoples passion for EMS vs. those who are just passing through. They also talked about the EMS role in large planned MCIs like the NYC Marathon, Direct to Medic programs and a few other fun topics. Something for everyone as always on the show. Take a listen and leave your comments below and be sure to visit the links and sponsors to show your support for the podcast. Something very special this week as I highlight the Best of The ProMed Network. Take a listen to these podcast cutouts on avoiding injury in EMS, challenges of a volunteer reorganization, pain management, an EMS ReKindle and being an ambulance driver. Part three in this series talks about communicating with EMS management. Have you ever felt like management isn’t listening? The QA/QI guy is out to get you? Your supervisor just doesn’t seem to remember she was on the ambulance once. Listen in to this episode and maybe get some insight to the back rooms of management and what goes on behind that door. Why you should care and how you can be a part of it.